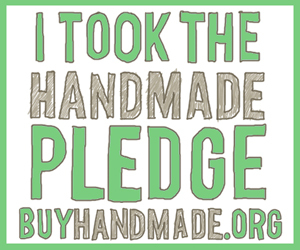 I really wanted to take the handmade pledge for this coming Christmas but it just isn't going to happen. You see I need a new camera. I've been operating with a point and shoot Sony DSC-P93 for the past 3 years, before that, it was strictly film. I like photography. I like taking pictures, lots of them. I love shooting a variety of interests in particular my children. But lately I am missing more shots than actual successful ones because my little ol' point and shoot can't take the pressure of children on the run. My main needs are speed, lens and clarity. I sure hope Santa (hubby) is reading my request here. I've been a really good girl. Okay, maybe a little naughty at times, but overall I'm a pretty good egg. And just so you know in my heart I totally support handmade gift buying and receiving. In fact most of the gifts I'm giving will be handmade. Which reminds me, I've got quite a few things on the to do list this week. I have to finish up my niece's birthday gift, get started on my nephew's gift and finish this other huge task I started last week that was interrupted by sick wee ones. I'll be a busy girl for a while but first things first, I'm stepping out today for a few hours by myself to have my hair cut and sneak a Starbucks treat (not really on the detox recommended foods list). I can hardly wait. Maybe I should do a before and after shot, of the hair cut that is. We'll see.